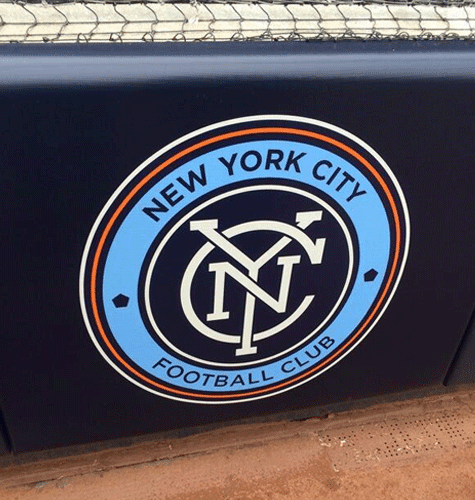 NYC is Blue: The Writing on the Wall is Good! 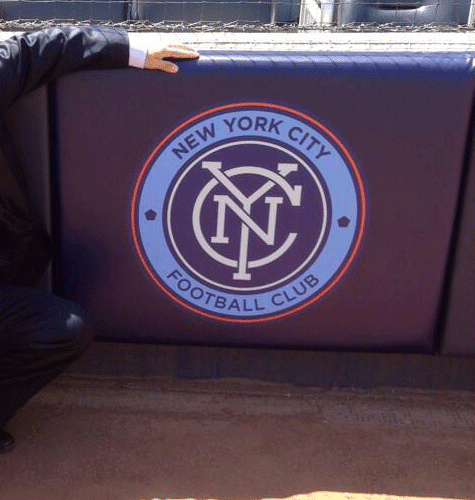 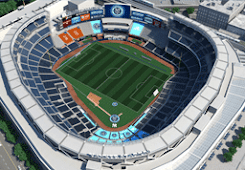 It appears that a new NYCFC crest has been applied to the padded wall at Yankee Stadium. Gone is the ugly and unnecessary white keyline the club had been using against navy backgrounds.